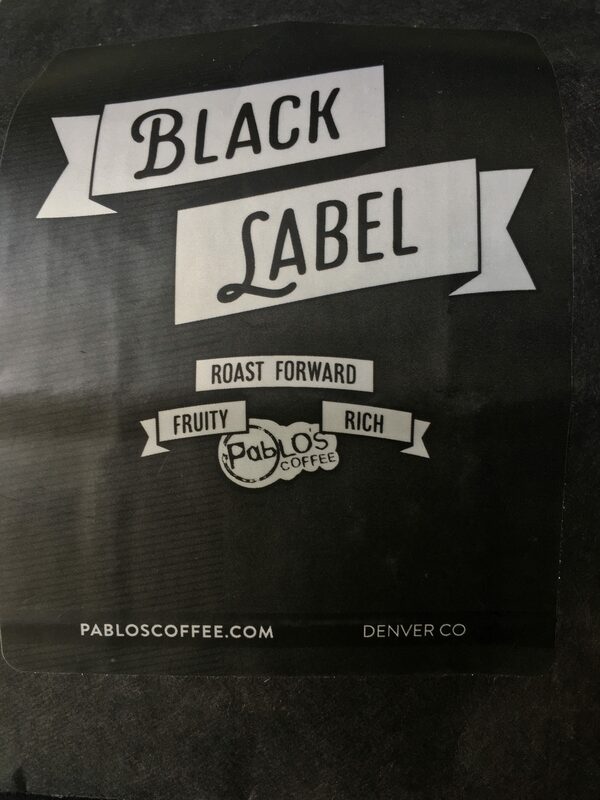 Black Label is Pablo’s Coffee premium blend, worthy of the utmost praise that I and my family can muster! It embodies an aroma that entices you, and flavor that totally wins you over. Pablo’s Coffee is from Denver CO, with three coffee shops in the Denver metro area. They also have an amazing retail store and roastery on Colfax Avenue that is a must for any coffee fan. 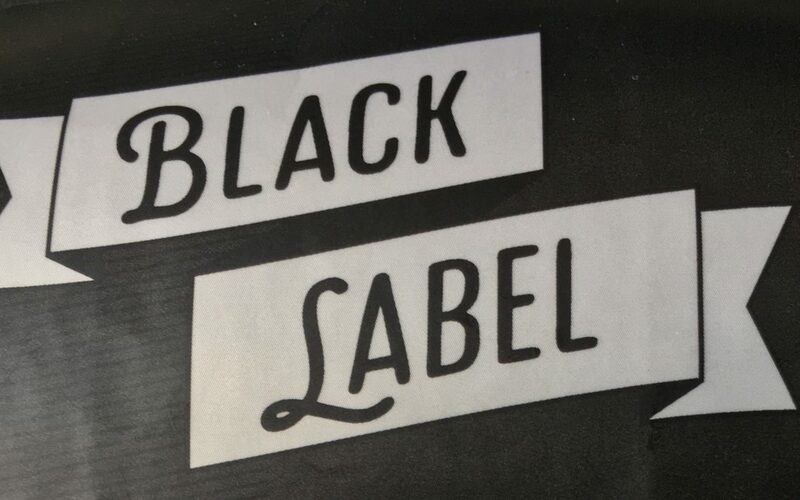 Black Label is absolutely worthy of its title, and of being a top shelf item at their coffee shops, here is what I found. Black Label has a very big, deep, rich, smoky and spicy aroma. I found a nice hint of citrus that cumulated in a complex aroma full of promise. The flavor is complex and smooth. There is a hint of peppercorn, it’s not overbearing. I also picked up notes of spice and cherry. When I added milk, the butter pecan came forward as well as the black cherry, changing the flavor completely. 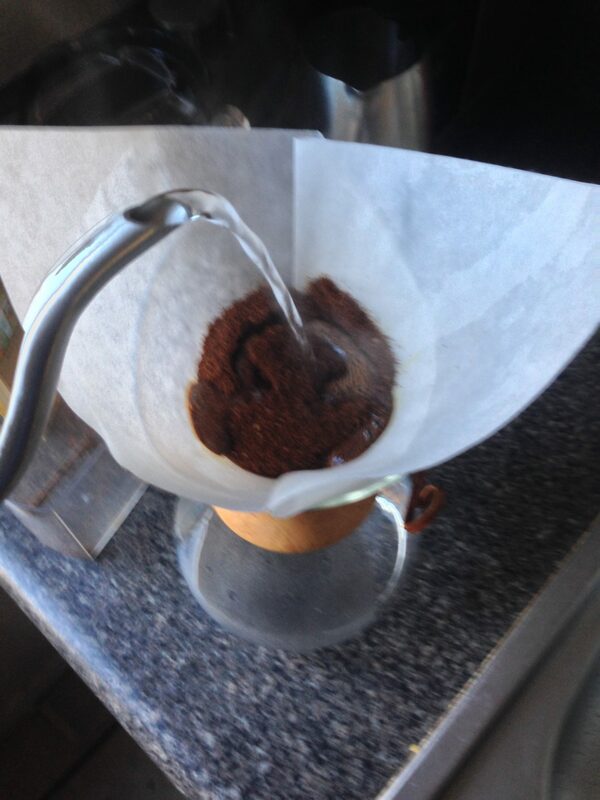 I found the acidity to be clean, smooth and slightly sweet. There is no flatness, or sharpness, but a nice fruitiness that is soft with a clean finish. Pablo’s Black Label body is full without being heavy. I am impressed with the fact that it is not thin or watery, nor is it creamy. I found it wonderful and quite delightful, worthy of its name Black Label. The finish is quite pleasing, full, fruity and fresh. Not fast fading nor long in the aftertaste, it is well rounded, and well balanced with a hint of spice. I really enjoyed this blend, what is outstanding about it, it is a high-end coffee without any extreme flavor or aroma. Just a well-balanced, well rounded cup of coffee. You can drink this coffee all day and you know you are having a great cup of coffee. There is no gimmick, or elusive flavor that you have to try to find. This coffee deserves to be called Black Label, it is a class of coffee that appeals to anybody, and very few roasters have to share.